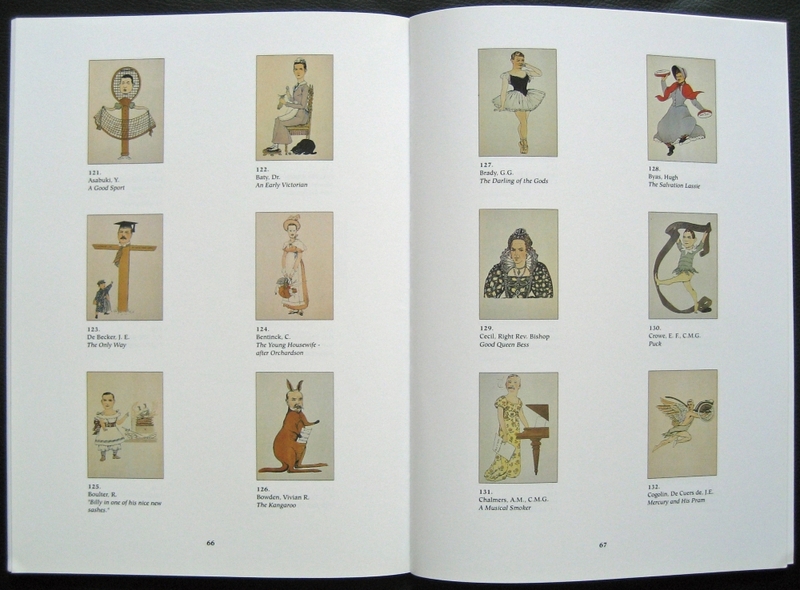 Elizabeth Keith catalogue raisonné. 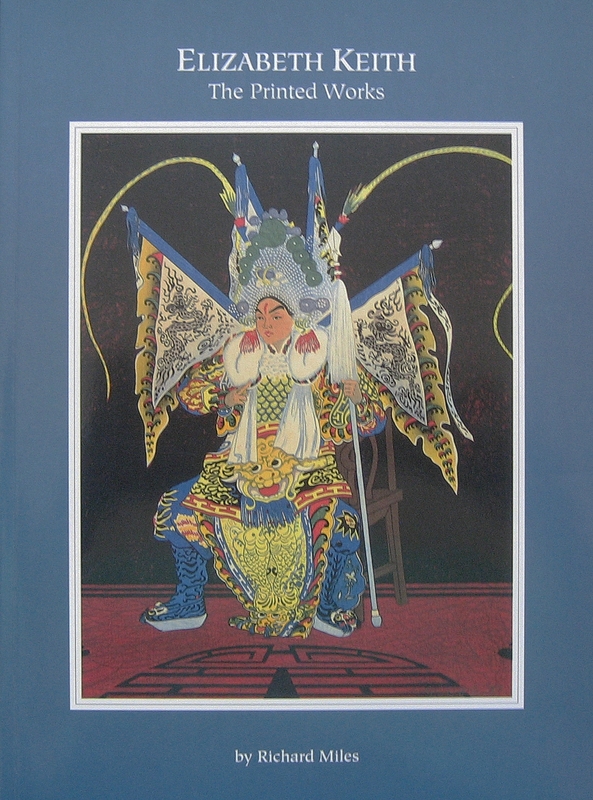 This book contains contains a short biography of her life and shows 108 of Elizabeth Keith’s known prints presented in sections for China, Korea, the Philippines, Malacca and Singapore and Japan. 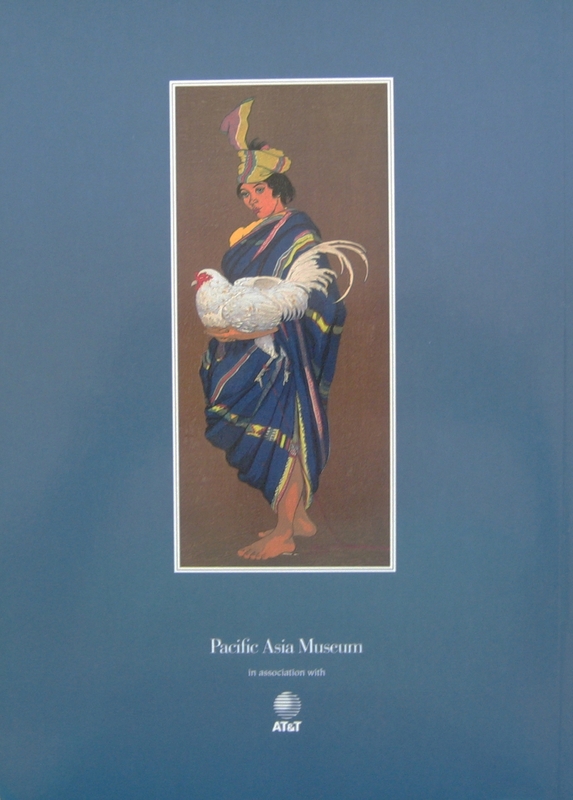 The catalogue was produced in conjuction with the exhibition of her works held at the Pacific Asia Museum in Pasadena from October 1991 to Februray 1992. 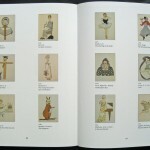 The book also contains a section on her book of caricatures – Grin and Bear It. 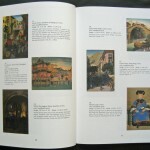 The hardcover edition of the catalogue raisonné was limited to 200 copies which are signed and numbered by the author. The paperback version is often available on eBay and Amazon but I’ve not previously seen a copy of the hardcover book available for sale. link on this page may generate a small referral commission which does not affect the price you pay. Old Korea, The Land of Morning Calm (Hardcover) by Elizabeth Keith, E.K. Robertson Scott. 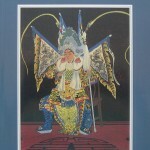 Elizabeth Keith: The Orient Through Western Eyes (Paperback). Catalog from University of Oregon 1974. 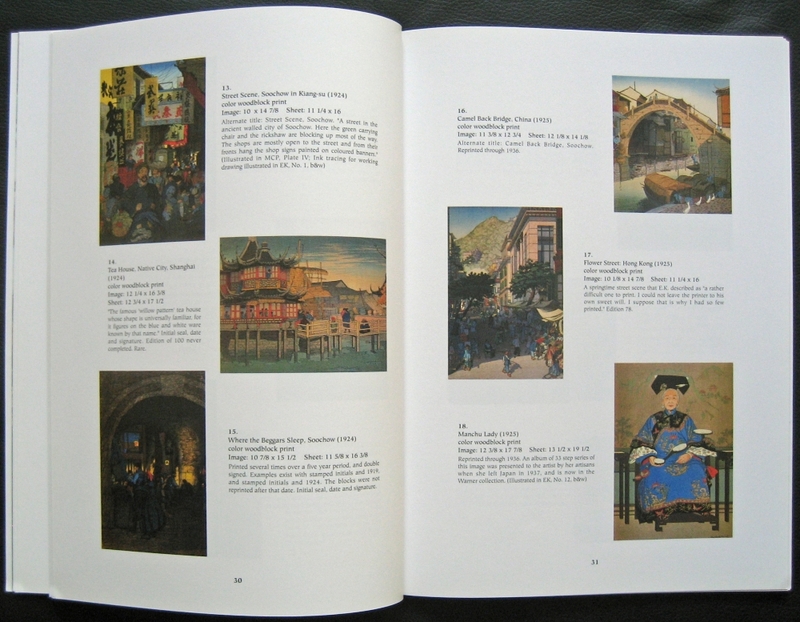 A list of the reference books I own can be found here – Woodblock Printmaker Books. I’d be interested to receive comments on any books you own or recommend. 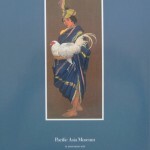 Looking for prints by Elizabeth Keith on her Philippine Series. I don’t have any Elizabeth Keith woodblock/woodcut prints for sale. There are copies of St. Isabella Tower, Manila over at TheArtofJapan (http://www.theartofjapan.com/ArtBioDetail.asp?Size=med&Inv=09113359) and JapanPrints (http://www.japanprints.com/Print.asp?PrintID=12075) for sale but thats all I could find at present. I have one ” pencil Philippine ” by Elizabeth Keith. If you can send me photo/scans of the two prints via the https://www.japaneseartsgallery.com/contact-us/ page I’ll be happy to take a look. If you don’t have any photo/scans send me the print titles and details on signatures/dates etc instead. Hi I have also inherited an Elizabeth Keith print from 1924 St. Isabella Tower, Manila , would you be able to give me a valuation of this? I can’t give valuations but I’m happy to help out when I can by searching for selling/auction prices. 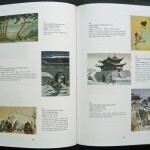 I couldn’t find any auction sales for your print but her works generally sell well when in good condition. The only copy for sale I found was at theartofjapan.com who have this print for retail sale at $1650. It’s not unusual to see prints selling anywhere from high hundreds ($600/800) into the thousands ($1000/3000) depending on the seller (auction vs retail) and specific print. I’ve seen “Hong Kong Harbor, Night” sell for over $10000. For a valuation you’d need to approach an auctioneer, gallery (eg. 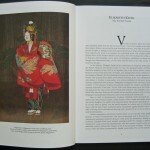 theartofjapan.com or http://www.castlefinearts.com/print_appraisals.php) or registered valuer/appraiser. I have very recently acquired a Elizabeth Keith woodblock print, titled St. Isabella Tower, Manila ca. 1924. I do very much like the image. It is my understanding from various readings, that this particular image may be an edition of 50. And some 30 known to be in exsistance. At any rate, I am becoming more interested in Keith prints and shall most likely begin collecting. This being said, I am interested to learn more about the various images and which would be the most desirable / collectable. Therefore, I am interested in the purchase of books written either by or about Eliabeth Keith. I understand that the book entitled Elizabeth Keith: The Printed Works, by Richard Miles, 1992 might be a good place to start. Though I would very much like to someday come upon the hardcover of this book in a limited edition of 200, I understand it’s pretty scarce, I would settle for now with the paperback. Would you happen to know where I might locate this book and/or other good books / written materials about Elizabeth Keith? “Elizabeth Keith: The Printed Works” contains a biography and catalogue raisonne for Elizabeth Keith so it’s a must have for anyone interested in her work. As you said, only around 30 copies of St. Isabella Tower are known to exist but the book states the edition was intended to be 100. Where known the book give details of the edition numbers for her prints. Which prints are more collectible is harder to say. 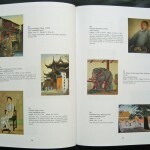 The prints description in the book does note some as being rare which probably adds value. In my opinion I would suggest her most collectible print would be Hong Kong Night (aka Hong Kong Moonlight) given the prices I’ve seen it sell for – it’s also my favorite Keith print. I’ve only seen two copies over the last couple of years with the most recent advertised for $14,000. It sold although I don’t know if that was the actual sale price. 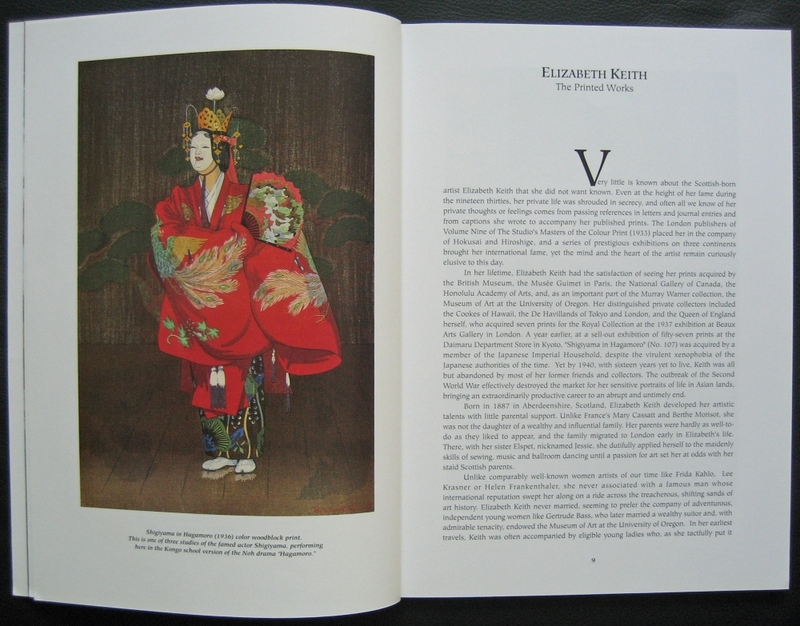 With regards to other books by/about her I’ve included those I know of at the bottom of the post https://www.japaneseartsgallery.com/2013/04/elizabeth-keith-the-printed-works/. I would expect she appeared in The Studio publication of the 1920/30s. Most of the books appear in Amazon and to a lesser degree in eBay. The hardcover edition of “Elizabeth Keith: The Printed Works” does pop-up for sale in Amazon occasionally. The catalogue numbers for the hardcover are ISBN-10: 1877921084 and ISBN-13: 9781877921087 so it would be worth googling those from time to time. I do see that some copies of “Elizabeth Keith: The Printed Works” described as being in paperback format are listed for sale at hundreds of dollars which makes me wonder what it is that makes the seller list at that sort of price. Are there different versions of the paperback or is it a hardcover incorrectly listed? I have a copy of Elizabeth Keith’s “Blue and White” in excellent condition with a clear and dark signature. Do you have any information about what the sale price has been? Because of that I don’t closely follow what her work is selling for. Having said that, as a rough guide, her works typically sell in the low thousands ($1000-$2500) for prints in good+ condition. I can’t recall having seen a copy of your print for sale. If you’ve had no luck using google to search prices then try contacting places like Floating World, Castle Fine Arts and F and R Fine Arts as they all offer appraisals via their websites. 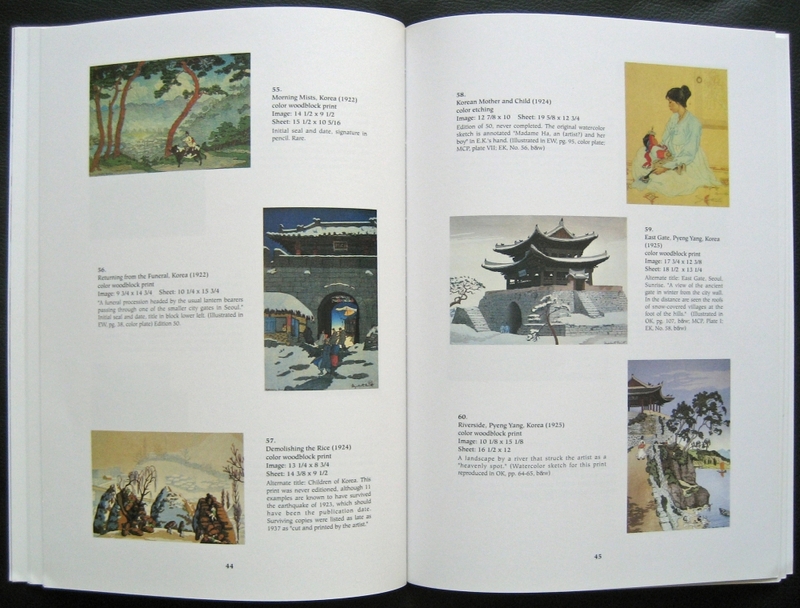 “Blue and White” is part of a pair with “Black and White” both in an edition of 100 but fewer were printed. According to Elizabeth Keith: The Printed Works [Paperback] by Richard Miles there are only 30 known examples of “Black and White” so it may be the rarer of the two. Many thanks for your response back, regarding my Elizabeth Keith print ‘ St. Isabella Tower and the various Keith books available here and there. I do very much appreciate this. In your email, you made mention of Hong Kong Nights. I would be very interested in a purchase of this print. Should you happen to run across this print via this site or otherwise, and it is for sale, please, do not hesitate to contact me by email. In addition, I would be interested in purchasing other Keith prints from private sellers. 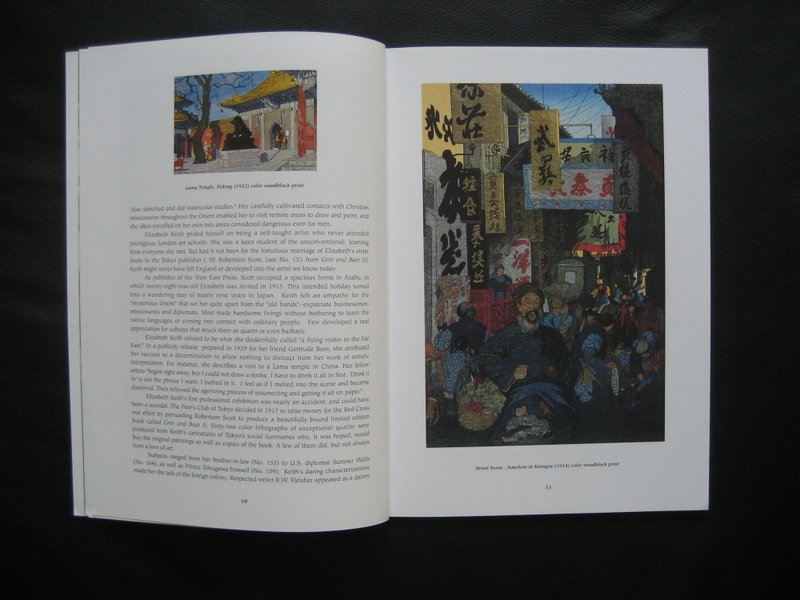 In a pervious email to you, we had talked about my interest in the purchase of woodblock prints by Elizabeth Keith. My interest still remain. In addition, you had mentioned that perhaps her most desirable ( hard to find print ) to be Hong Kong Harbor. Indeed, I agree. Also, I believe that you may have mentioned that the last you saw, this particular print was being offered at $10,000-12,000. or somewhere in this range. But you didn’t know where it sold for. To my amazement, this print was offered at auction just this past May 9th. at Michanns Auction House out in California. Regretfully, I was not aware of it until after the auction had ended 🙁 At any rate, this print Hong Kong Harbor ( nights ) realized just under $6,000. I believe that it was. This seems reasonable for what is considered to be her most desirable of prints. As mentioned, I am most interested in the purchased of Keith’s works. Particularly, the one that are more desirable. This being said, don’t know if you allow it on your site. But I would welcome contacts from your other readers who may be selling. I am including my email address: [email protected].. Also, I am interested in Keith’s first edition books. I did see that copy of Hong Kong Harbor and put a bid in on it but as expected didn’t come anywhere close to the final price – I was hoping no ‘Keith buyers’ were around to bid it up but that didn’t work out. As your comments been approved your email address will be visible so if anyone has a copy they’ll be able to contact you (but hopefully not spam emails!). 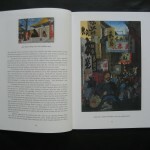 Thanks very much for your email, regarding Elizabeth Keith’s print Hong Kong Harbor and recently being at auction. Yes! I though the $6,000. range was very reasonable for this particular print. Certainly, I would have bought it. Yeah! it was pretty exciting to see it there at auction. I missed the auction. But you were there for it. Good for you. I would imagine that when Keith’s prints, particularly, Hong Kong Harbor comes available, the Keith collectors are there. At any rate, sorry that you weren’t able to pick it up. This would have been awesome. Well… All for now. Take care. Oh! and thanks for allowing my emai address. Who knows. Perhaps, I’ll possibly hear from sellers of Keith’s prints. We’ll see. I’ll let you know. The Little Shrines on Quiet Hills. That print has been sold. The only Lilian Miller print I have left is The Three-Foot Bamboo Pipe. We haven’t spoken since Feb. 2015. We talked about my Elizabeth Keith print St. Isabella Tower. In addition, we spoke about Keith’s master piece work Hong Kong Harbor. At any rate, wanted to share with you that I just very recently purchased two other Keith wood blocks – 1.) Pewer Shop, in Soo chow, 1925 and 2.) Ying Lin Monastery, China 1925. I am thrilled to have them both. But don’t little about each of them. And don’t have the Miles book yet. This I do know about Ying Lin Monastery, China. Apparently, the total printing was under 75. But fewer than 20 examples known. Over- sized too. I guess it’s considered to be very rare. But don’t know for sure. Then, we have Pewer Shop, in Soochow. It’s colors are simply beautiful I think. I don’t know anything else about Pewter Shop i.e. printing size, known examples today, considered rarer or not. Also, I am not quite sure of their fair market value either. I have however seen on line that back in 2010′, at auction in California, Pewter Shop est. $1,500./$2,000.. Price realized $3,300.. Don’t know if value is less or higher now. And not sure at all about Ying Lin Monastery, China. At any rate, would you be kind enough to share your expertise / thoughts with me about these two woodblocks. Oh! These two prints are in pristine condition. I don’t check this sight real regularly. So, you could either use my direct email address [email protected] or let me know that you have placed your comments. This would be awesome! Thanks Mike! Good to hear from you. Congratulations on your new purchases. Pewter Shop is one of my favourites – I like Keiths ‘busy’ prints with lots of deep colours. I don’t know anything about these prints other than whats in Miles. Pewter Shop Soochow – Produced in 1925 and reprinted through 1936. It had a total edition size of 75. From 1935 to 1937 ELizabeth Keith often resigned earlier prints in red pencil. 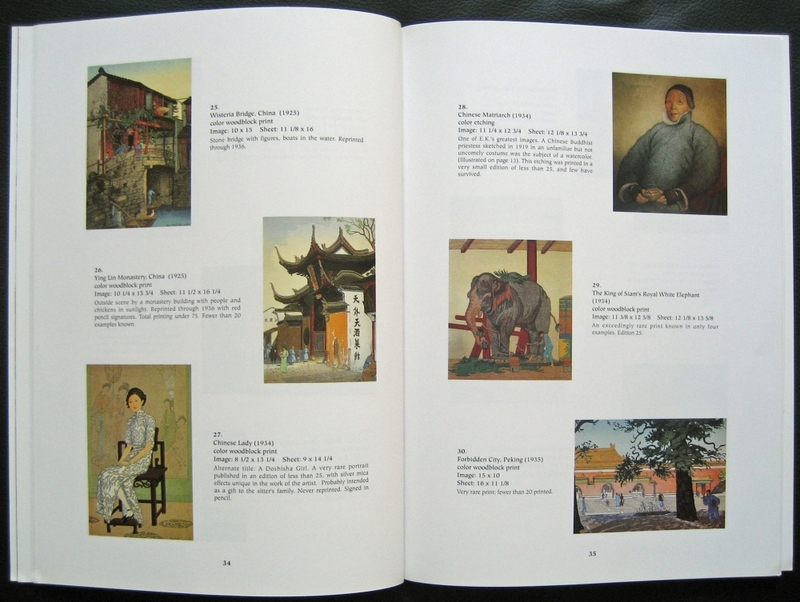 Ying Lin Monastery China – as you noted, an edition size of 75 with less than 20 examples known. Produced in 1925, repirnted though 1936 with signatures in red pencil. You mentioned Ying Lin was oversized, Miles gives an image size of 10 1/4 by 15 3/4 which is ‘oban size’ so a failry typical sie – although the paper size can vary. Miles doesn’t specifically note either print as rare but with edition sizes of 75 both prints aren’t exactly common. Tom here again. See my pervious email. Forgot to mention that Pewter Shop, Soochow is hand signed twice by Elizabeth Keith.